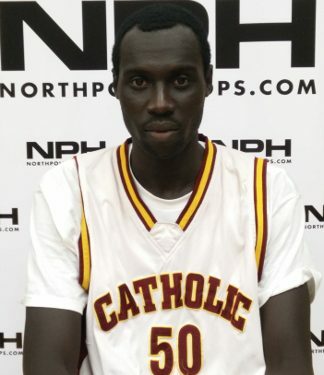 Former Catholic Central basketball player Jonathan Nicola, a 29 year old man who posed as an eleventh grader, was released from an immigration detention centre after posting $7,000 bail, according to the Toronto Star. The Canada Border Services Agency held him under the claim that he “misrepresented material facts on his application” to study in Canada, and that he violated the Immigration Refugee Protection Act‎. Charles Juma, a family friend of Nicola’s, paid the $7,000 bond to have Nicola released until his next hearing, which has yet to be scheduled. Nicola’s lawyer Frank Miller was relieved to have his client out of prison. While laws vary by state, a pardon request usually needs to be accompanied by a lengthy period of exemplary behavior and a reference check. Generally, the more serious the crime, the longer the time requirement for excellent behavior, check out https://nationalpardon.org/pardons-canada/ for more info. There are few standards or checks on the exercise of the power to pardon. “You’re dealing with a man who has never been in prison in his life, as far as I know, and certainly it’s a disturbing place,” Miller told the Star. According to Miller, the next step in the process will be an admissibility hearing which will determine if Nicola will be permitted to stay in Canada. NPH, NorthPoleHoops.com appointed to present ALL-CANADA CLASSIC awards!